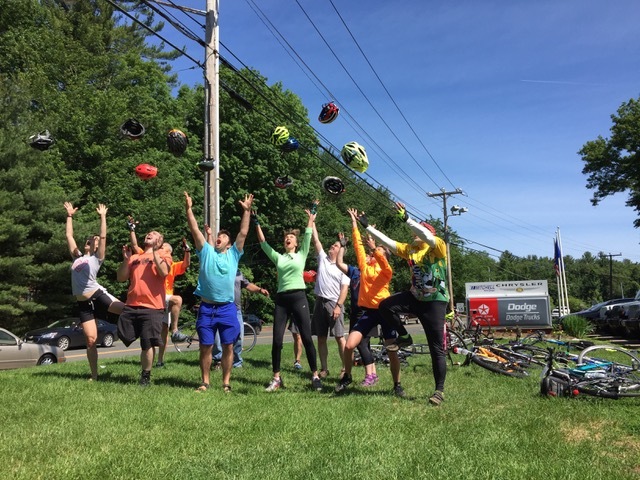 According to owner Steven Mitchell, “We do this via our support for our local bikeshare organization Simsbury Free Bike (SFB). The riders who borrow bikes from SFB’s 10 distribution centers are amazingly diverse. They include people from across Connecticut, as well as visitors from other U.S. States and numerous foreign countries. SFB ridership averages 1,500 during their season May thru September. We also work with Ti-Trikes Inc, a local business who specializes in adaptive bicycles whose motto is 'Everybody Rides.' Ti-Trikes encourages and supports the ADA community and aging adults and mentors ride accordingly." 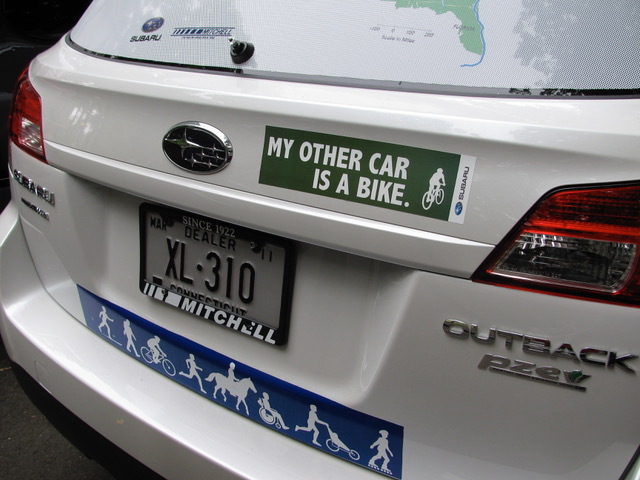 A past board member of the East Coast Greenway Alliance, Mitchell also actively supports the League's education programs by hosting League Cycling Instructor and other Smart Cycling classes. East Coast Greenway Ride to Simsbury ECG Board Meeting April 2011. 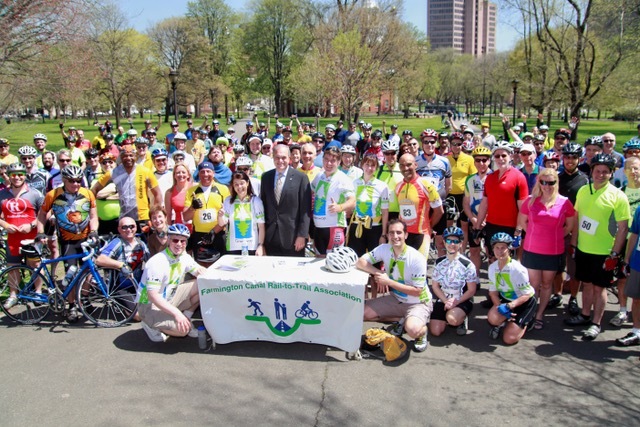 Participating are New Haven Mayor John DeStefano and Simsbury 1st Selectman Mary Glassman. 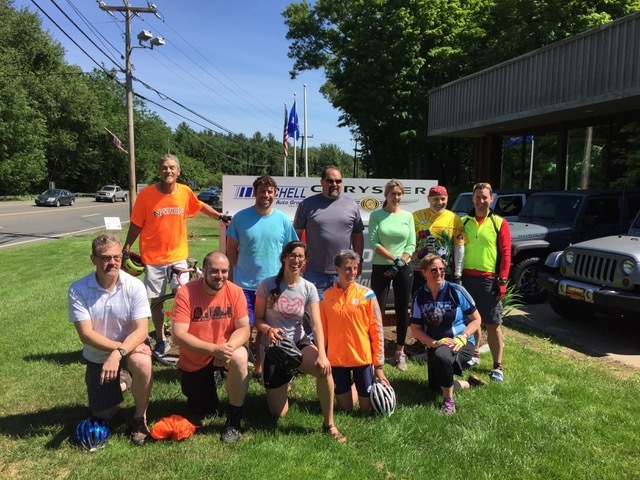 The 45 mile ride went from New Haven to Simsbury CT.